Try now your 30 minutes free trial class with your native teacher ! How will you learn spanish ? Language-online only works with qualified teachers who have experience in teaching. Start learning with one of them in a completely personalized course. Learn spanish in a group of 5 persons maximum. Our virtual classroom will give you an experience similar to a presential course. Your learning process will be more dynamic and enjoyable ! You already attend a course to learn spanish but you don’t feel 100% prepared to pass the examination ? We will help you prepare your test so that you can pass it succesfully. Your company works with partners in Spain or Latin America and you need to communicate with them ? Suscribe your team to our spanish training for companies. Our teachers want you to learn spanish well, and they leave in countries where the cost of life is cheap, so they can offer you the best price for that ! Our native teachers all have experience in giving classes. They all have the necessary qualification to teach spanish. We connect through Skype or Hangouts for our online lessons, you can choose which suits you best. Our focus is always put in the well-being of the students, and in their progression. We want to be part of each one of your success in your process of mastering spanish. We offer you a free trial lesson so that you can experience our teaching methods and meet our profesor, before you decide to buy lessons. The more hours you buy, the better discount we will give you. We have a program for every need, from individual lessons to group classes, or trainings for business spanish. Unlike other institutions that cover one lesson in 45 or 50 minutes, our lessons have a duration of exactly 60 minutes. You wil make the most of the time you bought. The hours you buy don’t expire. If you buy an hour today and decide to make a pause, you can use them in months, or years, without extra charges. We work seven days a 365 days a year. You can program your classes with your teacher any day, even during holidays or week-ends, and at the same price. How will you learn spanish with us ? Schedule your first free 30 minutes trial class with one of our native teacher. Choose the quantity of hours you need. We offer you good discount if you buy them as a package, up to 20%. Learn spanish with your native teacher, the lessons are fun and interactive ! Why should you learn spanish ? The spanish language is the third language most spoken in the world, and for sure you are not the only one with the intention to learn to speak it. Maybe you are still not decided if you should actually start a spanish course ? Here are a few reasons that will help you take this step. Afterall, this is the most important advantage of speaking spanish.It will open you a lot of opportunities. The possibilities of working and doing business with spanish speaking partners, or even directly in a spanish speaking cournty, are without a doubt numerous and it will definitely turn out to be a very good investment. The universties in the spanish speaking countries are very open to receiving foreign students in exchange programs. Your mother tongue and spanish will open a lot of doors so that you can sign up to a master course and enlarge your profesional vision. You will also be able to exchange ideas and thoughts with the other students, create new concepts and have conversations about various subject, incuding your centers of interest. As spanish is one of the most spoken languages in the world, after english and mandarin chinese, you will be able to visit a lot of new places and make yourself understood without a problem, while you enjoy the views and the local culture. There are a lot of cultures in the world that are really open to receive foreigners on their lands and teach them their ways and traditions. There exist a large number of books and plays that were originally written in spanish, before being then translated to other languages. This is a good thing that permitted that everyone has access to the human cultural patrimony, of course. But if you can understand spanish, you will be able to read in the original language, and this will never be the same as reading a translation. Also, while you learn spanish online, it will be most recommended to read a lot as a means to increase your vocabulary, and will allow you to make better progress, express yourself better. The good thing is, this material is very accessible on the internet or in bookstores, as spanish litterature is obviously very consequent, and you will have a large choice of material that will fit your likes, so that learning will never be fastidious. What do our student say about their course ? The company I am working with startes to do business with Mexico. I found myself with the necessity to learn to communicate in spanish with its partners, and so I had to start to learn it. I took the 30 minutes trial lesson at Language-online, and I was convinced, so I decided to give it a try and signed up on their platform. I am very satisfied and I don’t regret at all to have invested my time with them. Now, I have a rip planned to Mexico, and I know it will be a success as I will be able to apply all that I have learnt yet. I want to study in Spain for my bachelor degree. A prerequisite in the universities there is that foreigners must read and understand spanish. 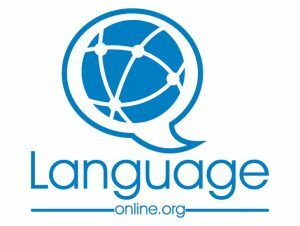 For what I saw when I visited Language-online’s website, I was convinced by the philosophy and also by the facility to accomodate my schedule. Now that I have a few lessons behind already, I would actually recommend it, and the most important for me is that I can go on with my project of studying abroad. Many doors already opened.